We firmly believe that it takes only a minute to change your look with the right ingredients and a fresh set of eyes. Today, we're helping refresh your wardrobe with one easy styling trick and a piece you likely already have in your closet. 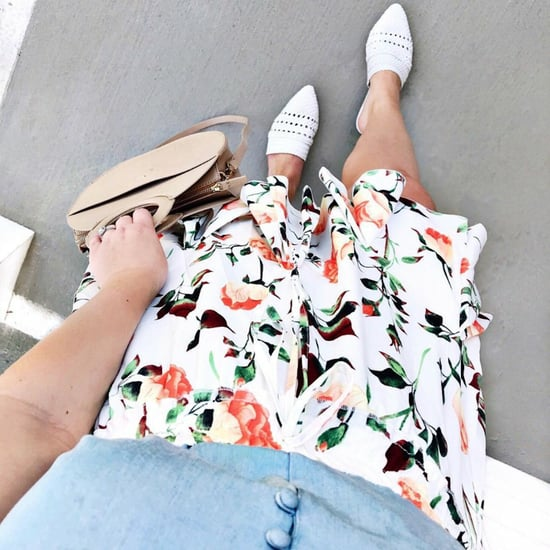 The arrival of Fall and Winter usually means we bury our Summer maxi dresses and skirts, but we're all about taking them out of hiding to well, maximize, their potential with a few seasonal layers. 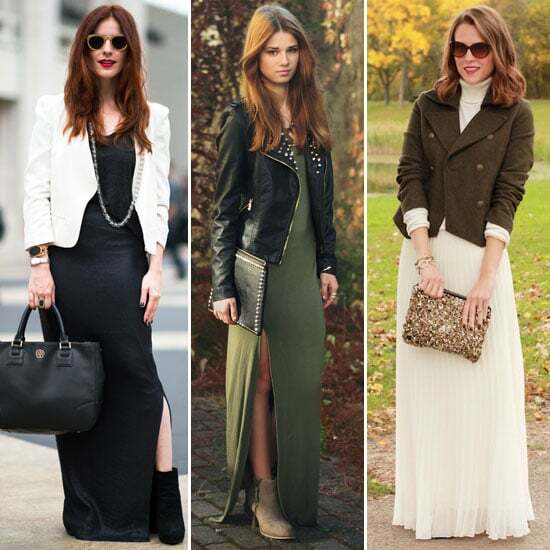 Just take a cue from the style setters below: making the most of your maxi is just about giving it a Fall feel. The first thing to know — it doesn't matter what color or what fabric your maxi is. Even if you're working with a sheer finish or a creamy white hue, you can give your dress or skirt a more apropos seasonal twist with the other pieces you add in. For instance, if you have a sheer maxi or one with a slit, layer it up underneath with tights for added warmth. The most essential part of this look is how you top it off. 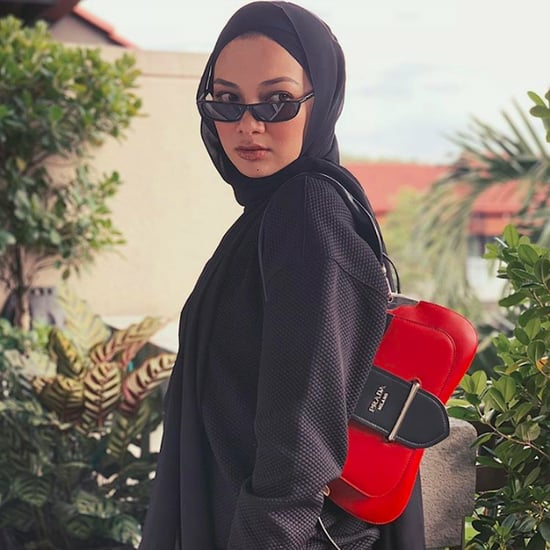 Because the skirt and dress can feel floaty and at odds with the weather, anchor it with weightier, warmer pieces up top. Try a leather jacket and a cashmere pullover to offset the bottom half. If your dress has a slit, make it more daytime appropriate with a covered up jacket or a sophisticated blazer. Truthfully, these maxis work like a blank canvas, style them up with sweaters, furry vests, and heavier coats to shape them into unexpectedly seasonal outfits. Think of your footwear as the key to taking the look from day to night. Your footwear plays a crucial role in setting the tone for this look — with a flat, biker boot, this look becomes casual and daytime-accessible; with a heeled boot you can walk the line from day to night; and with a sexier ankle-strap you give the look a night-out feel.